I’m an experienced software sales leader with a proven track record of building successful sales teams. I’m passionate about coaching and developing sales professionals to understand what it takes to be successful. Previous clients have said about me that I am a crisp, articulate speaker who is able to create and sell a vision, and am also able to inspire and influence those around me to do the same. 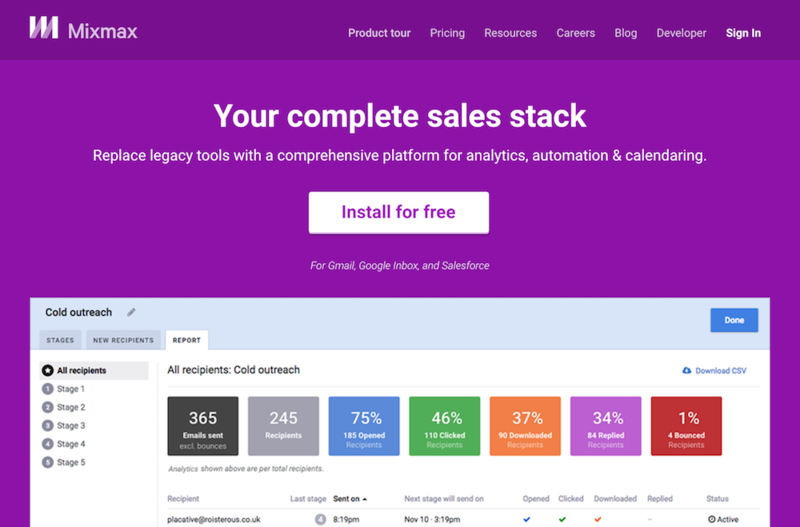 I'm with Mixmax, a company that offers a dynamic tool to provide powerful analytics, automation, and enhancements for your outbound communications to make you a sales pro. I'm excited about how this new technology can tame the beast that email communication and lead management have become. I started my career in technology hardware, working at Arche Technologies which offered IBM PC compatible hardware. At the time the industry adage was “Nobody gets fired for buying IBM” so I used IBM PC compatible branding to meet my sales quota selling 8088 and 286 personal computers. I transitioned from hardware to software and worked at Seagate, Borland, and Oracle. I followed my VP Sales from Oracle to LinkedIn. LinkedIn was a new company then, with only around 50 employees, but I trusted my VP and did very well there. I helped build out the search and staffing business which is now one of LinkedIn's bigger business units. I was also honored to receive the first-ever annual Leadership Award at LinkedIn. After LinkedIn, I worked at HackerRank and built a $10M ARR business in 18 months. From there I went to Automile and built a $30M ARR business in 30 months on an average customer value of $800. My career experience has confirmed over and over that building personal relationships is a key factor to success in business and handling communications well is how you excel. Because of today's incredibly fast pace, digital tools that can help you maintain and manage good relationships are an indispensible commodity. In my free time, if I'm not playing soccer, you will find me walking around the boardwalk in Santa Cruz with my wife and 11-year-old daughter. - How do you build a successful sales team? - How can you get the most productivity out of a sales team without burning them out? - How do you get the most accurate sales forecast? - How do you nail your sales quota? - What process do you use to create the optimal sales stack for your business? - What are the top 3 must-have apps for success? - How do you land elite sales candidates? - What's the best way to work with the marketing team--how to avoid the blame game? - How do you build an ethical sales culture? - What do you do when a top performing rep is disruptive to the company/culture? - How can you turn around a less-than-successful sales team?